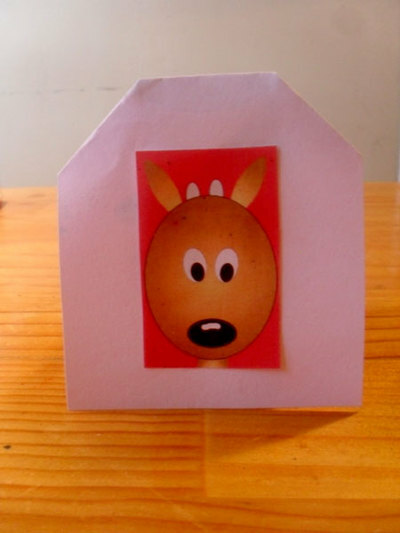 This pop up card has a reindeer inside! Easy and quick - try this one for Christmas. 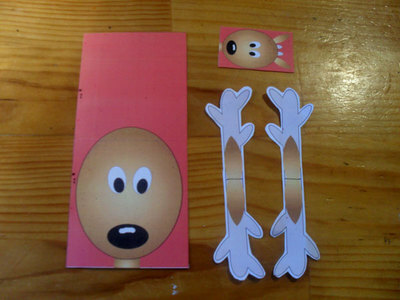 Cut out the pieces on the printout. 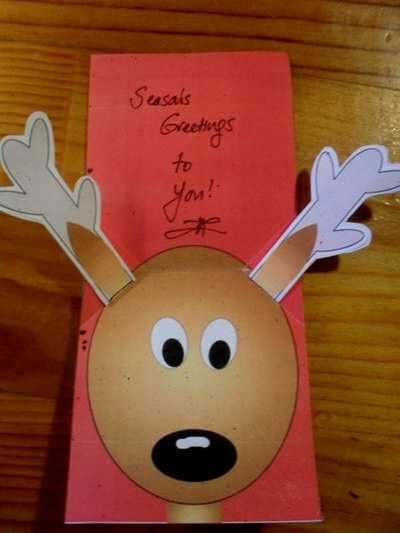 The big piece is the main card, the smaller image is for decorating the front of the card and the antlers. The blue dotted lines are your folding guides. Fold the main card in half. See where the dotted lines meet the line you have just folded. 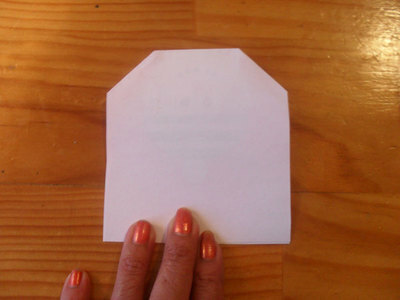 Make a mark with your nail on the outside of the fold and fold as shown. Crease the folds really well. 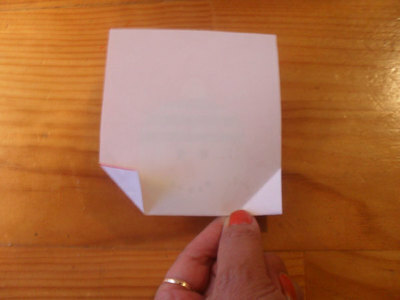 Open the card and arrange the folds as shown. 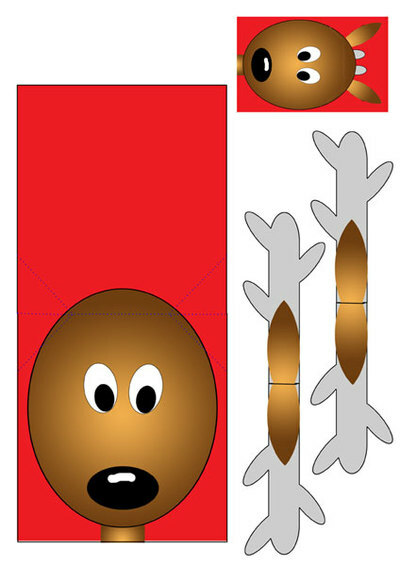 Fold and glue each antler in half. 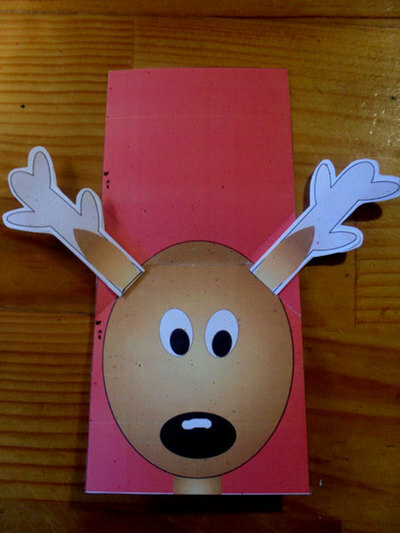 Apply glue to the triangles just under the halfway fold line, and position the antlers along the diagonal folds as shown. 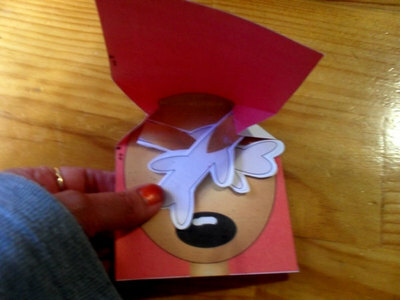 This is how the antlers fold into the card. 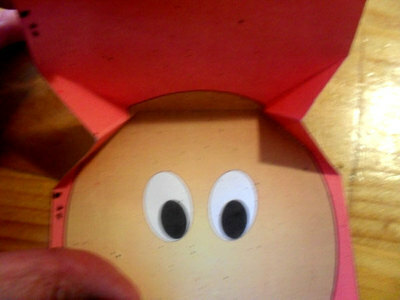 Glue the smaller image to the front of the card. Add a message to your card and you're finished!